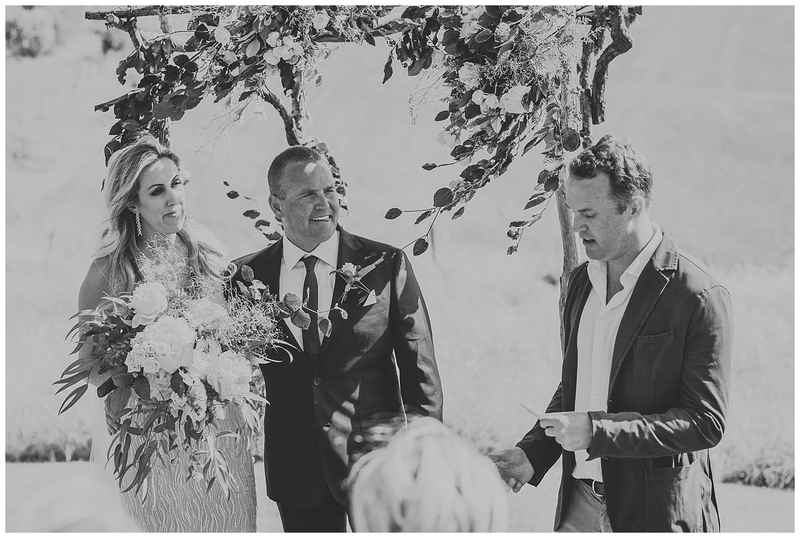 My 2017 wedding season started with this wonderful wedding of a sweet Australian couple. 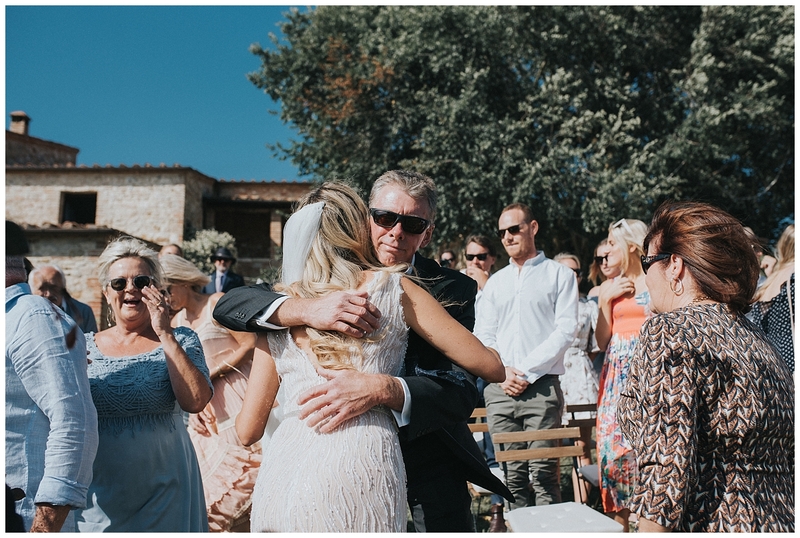 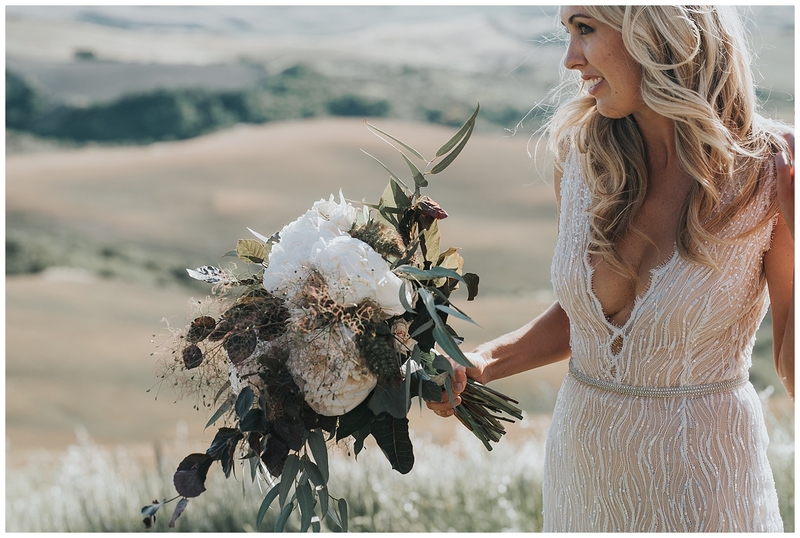 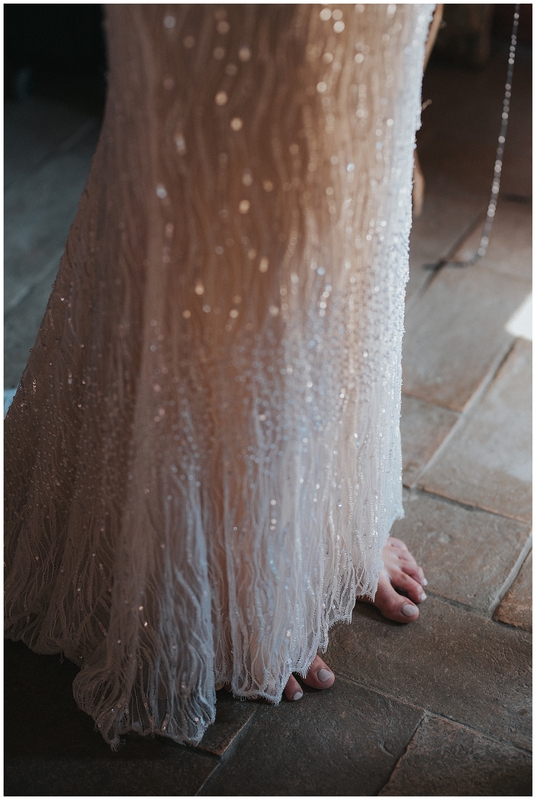 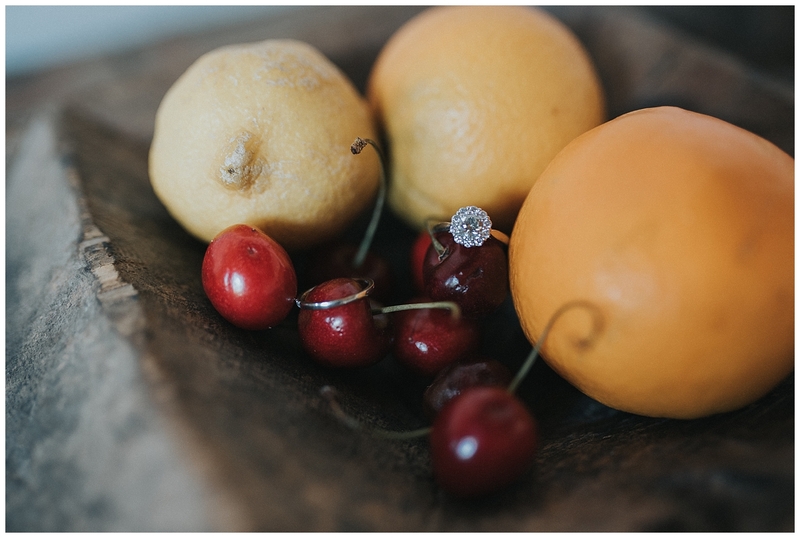 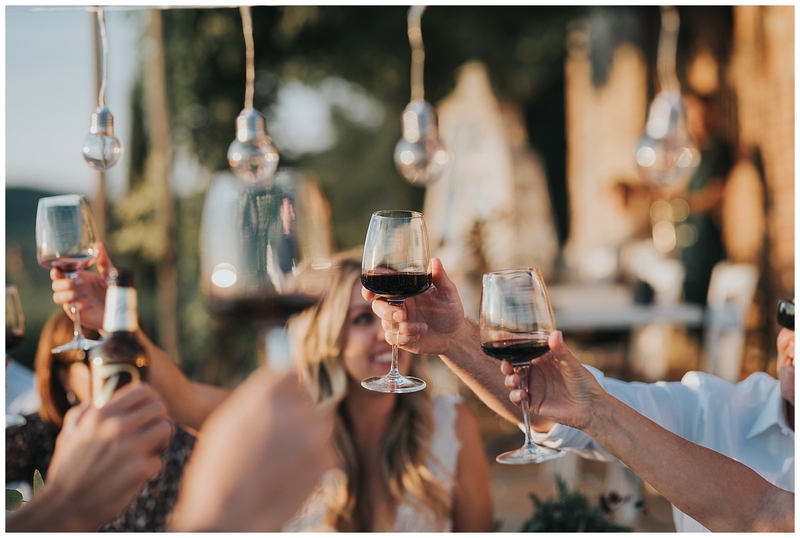 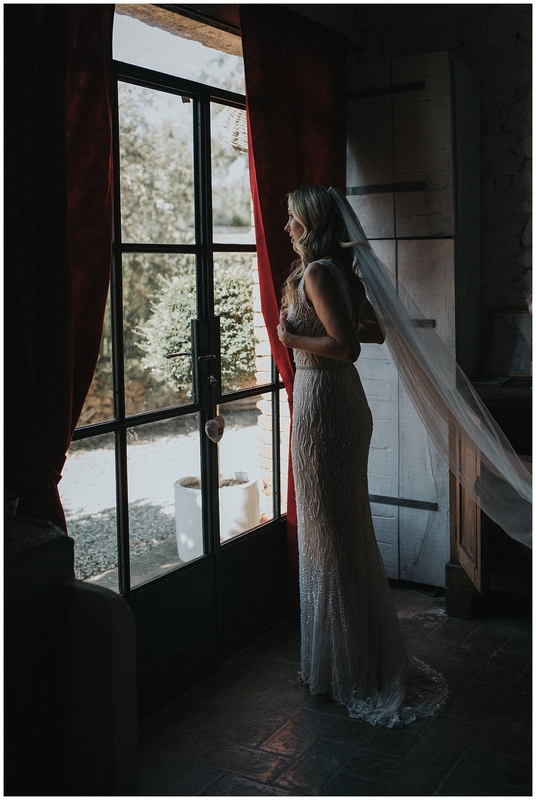 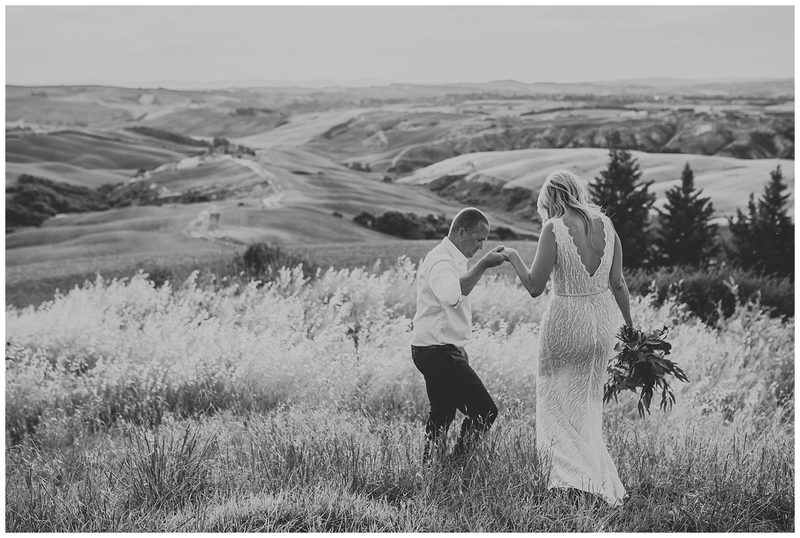 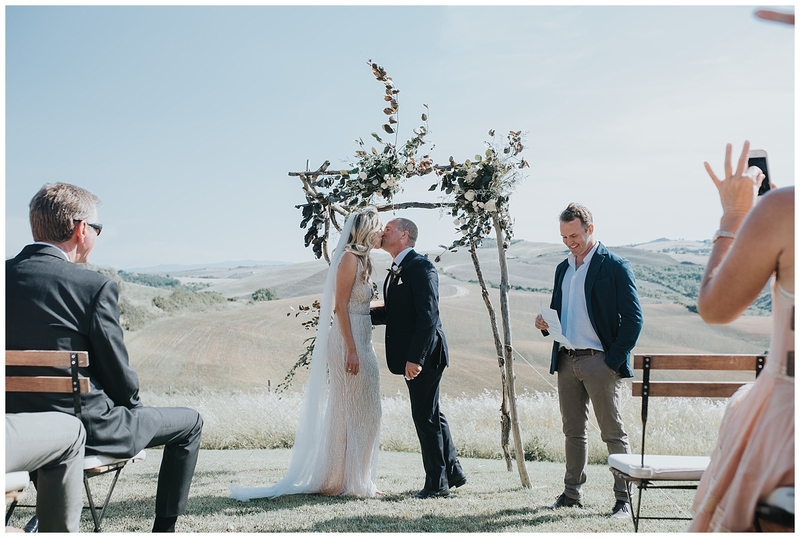 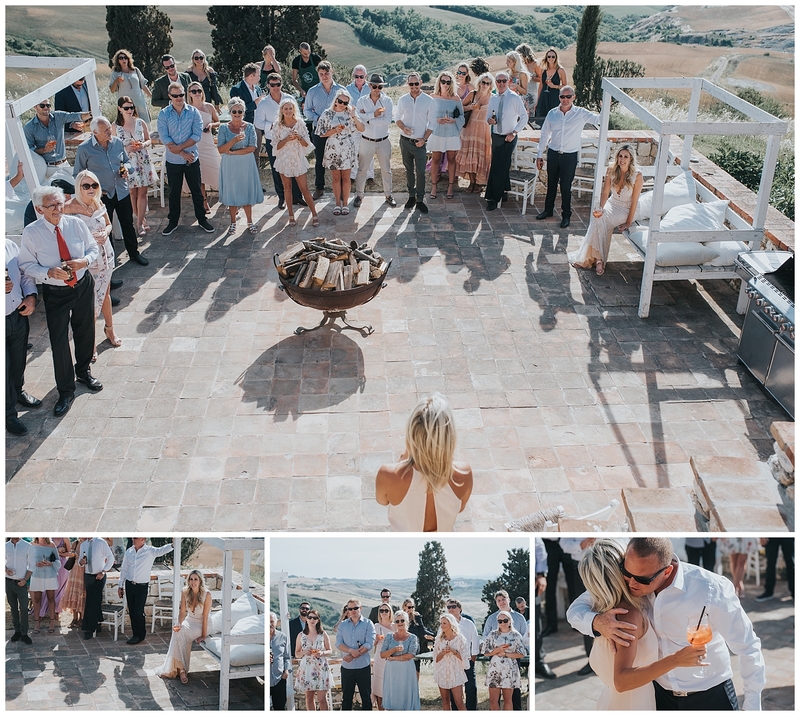 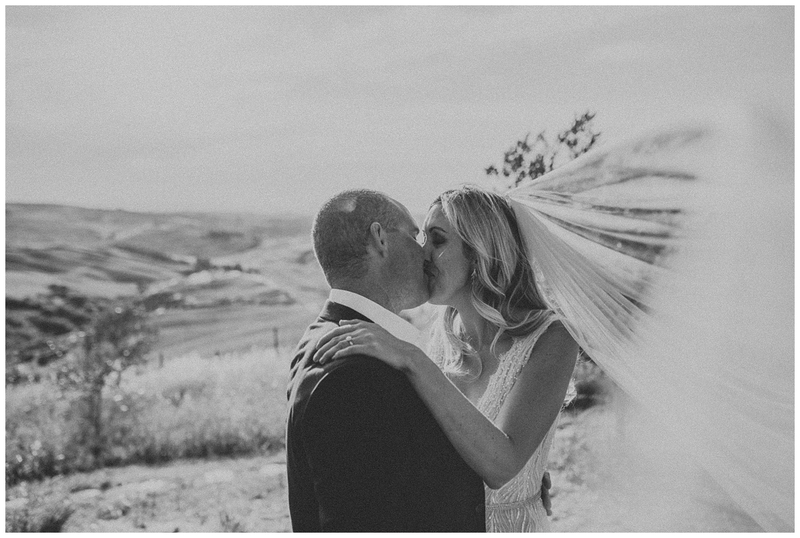 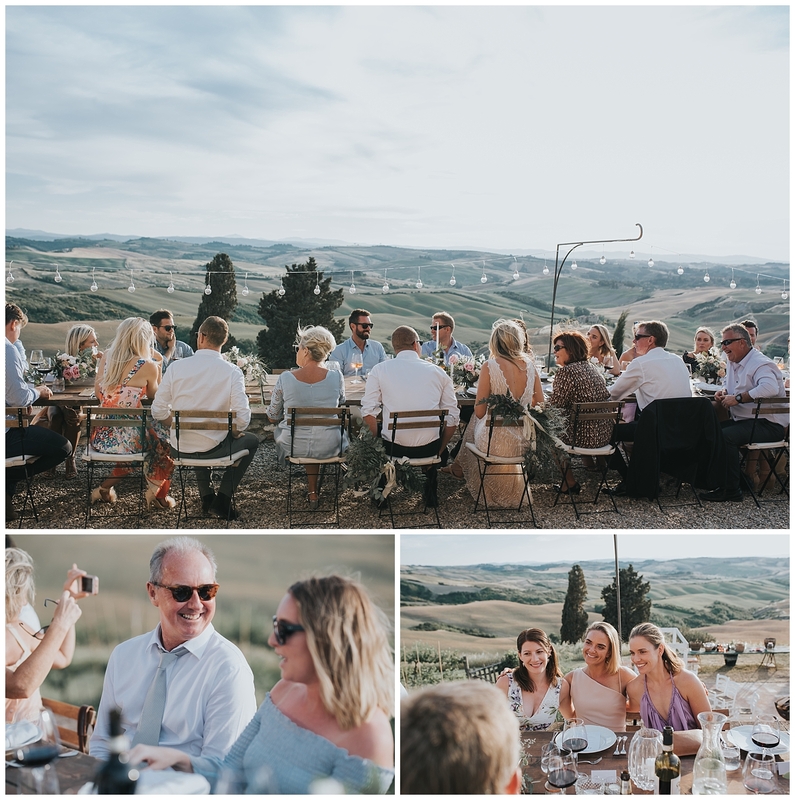 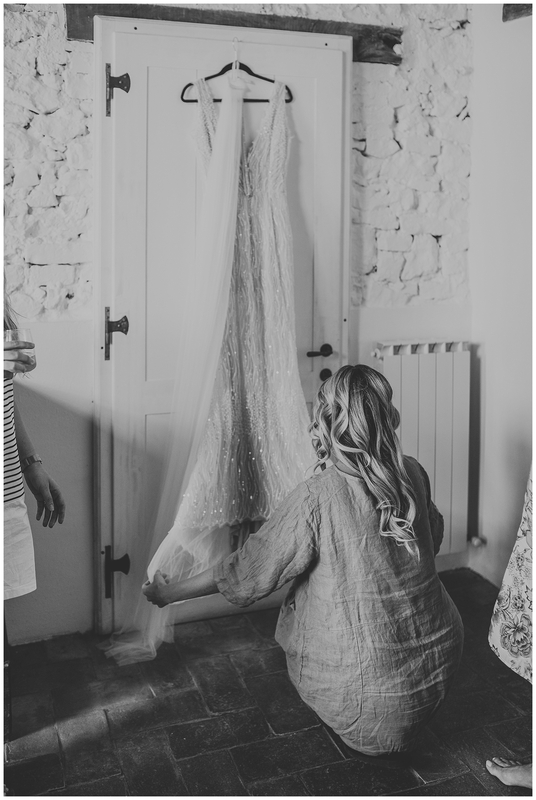 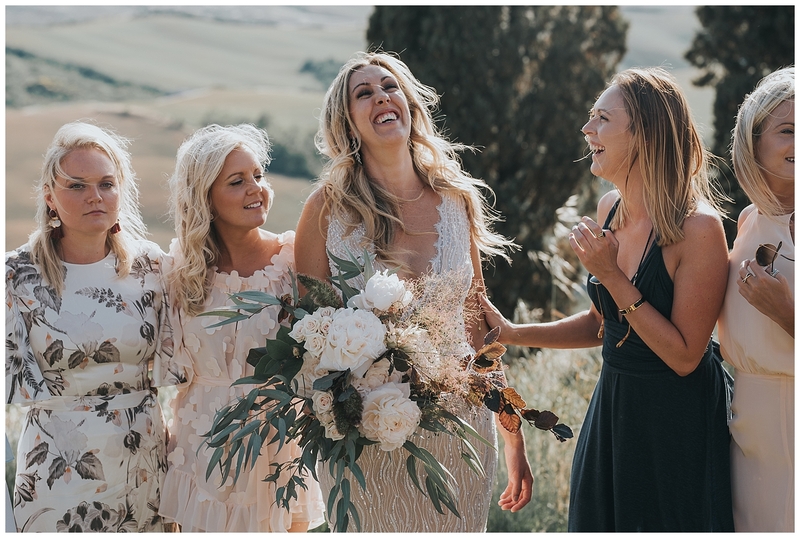 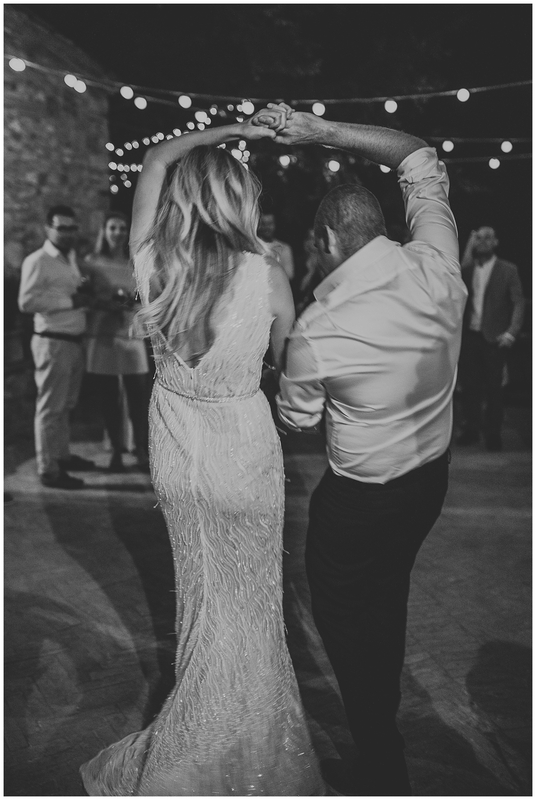 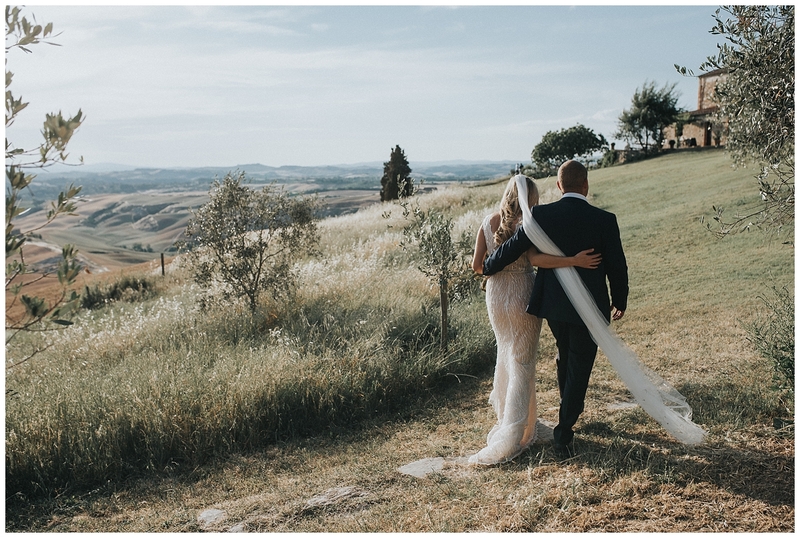 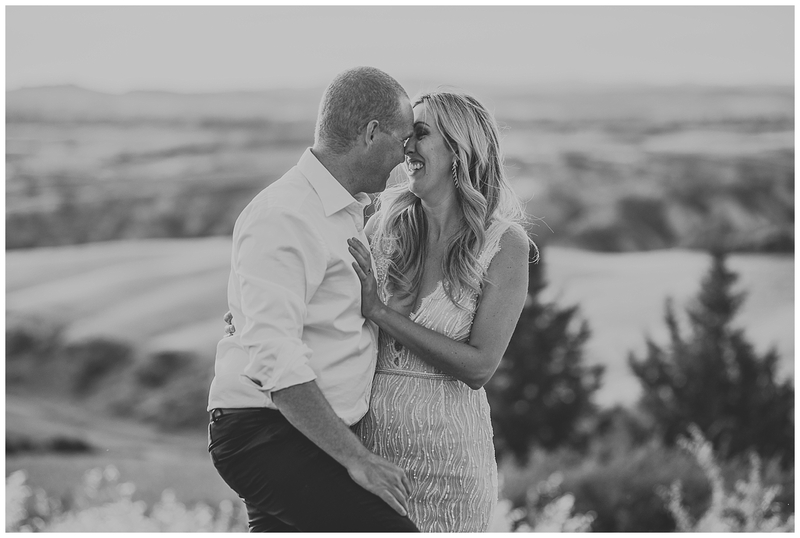 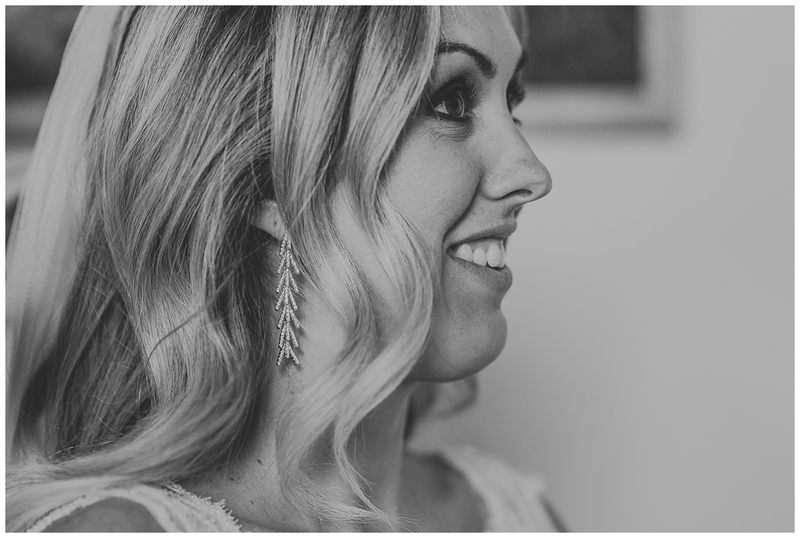 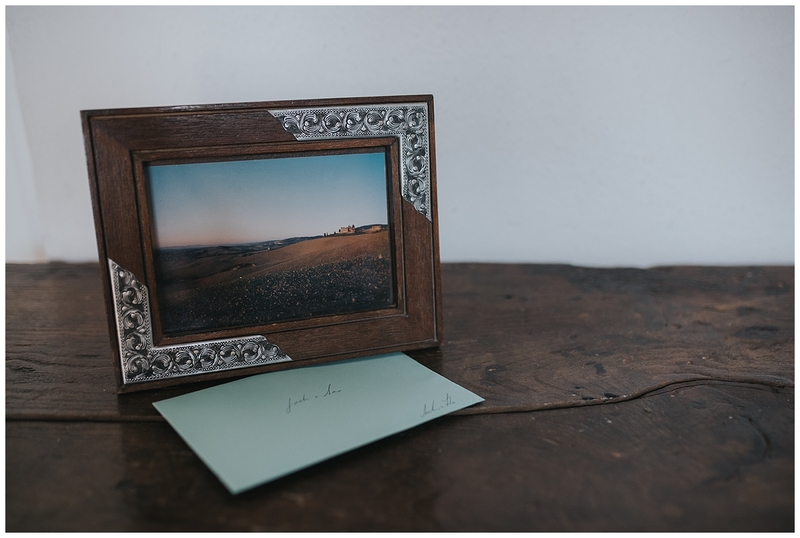 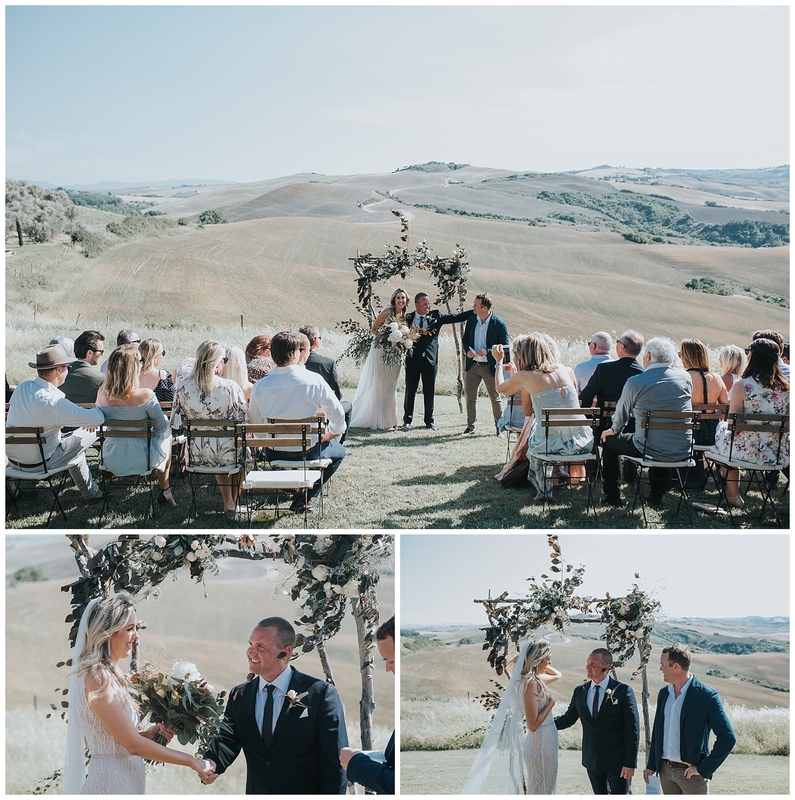 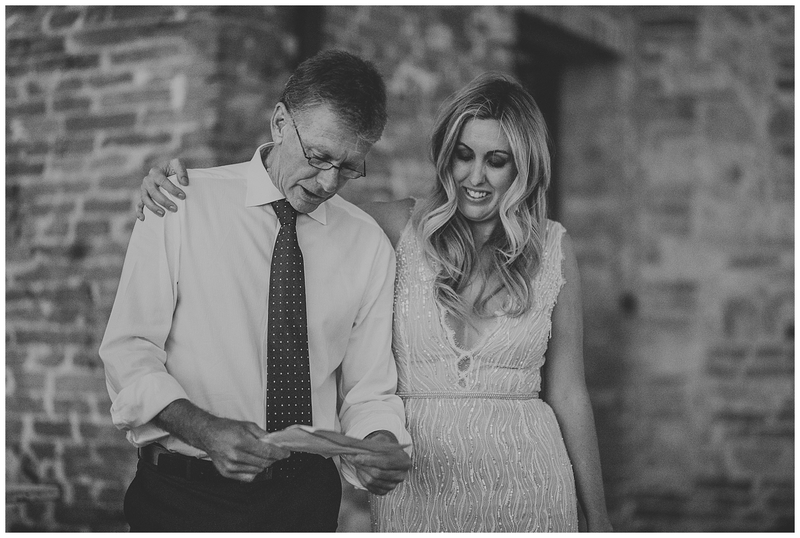 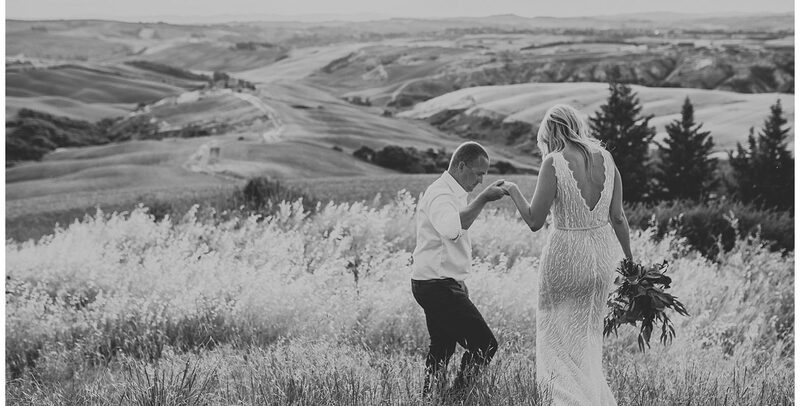 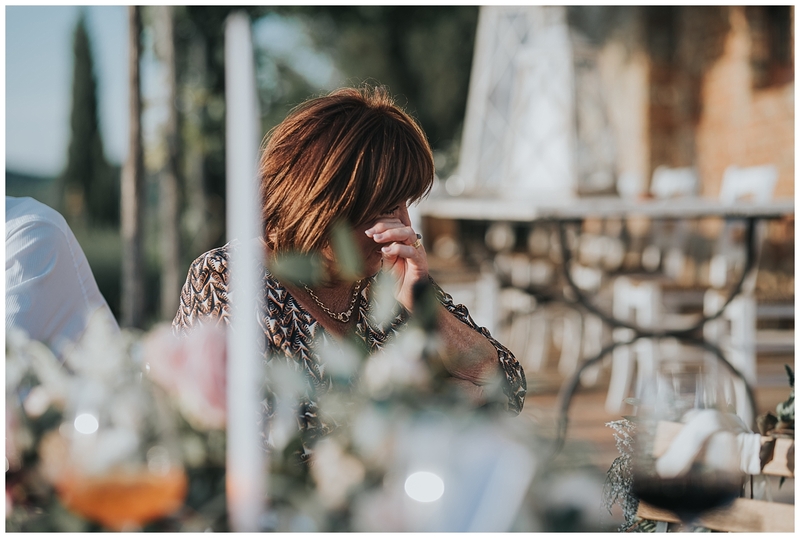 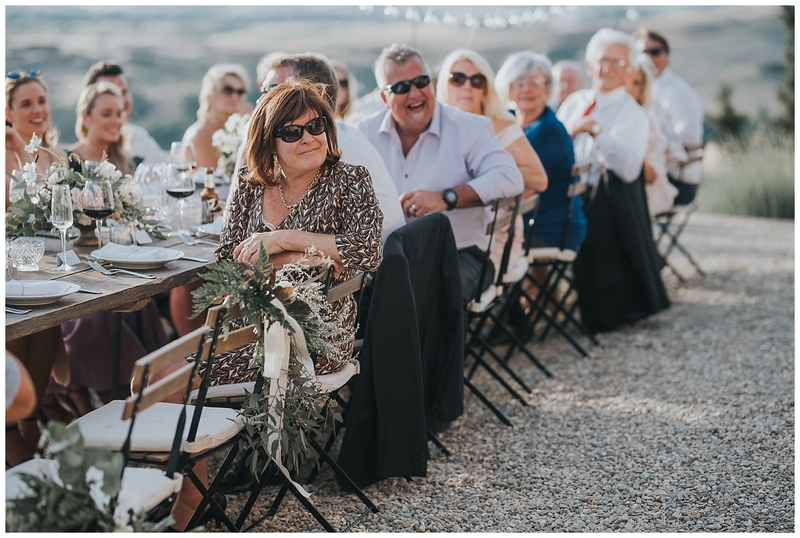 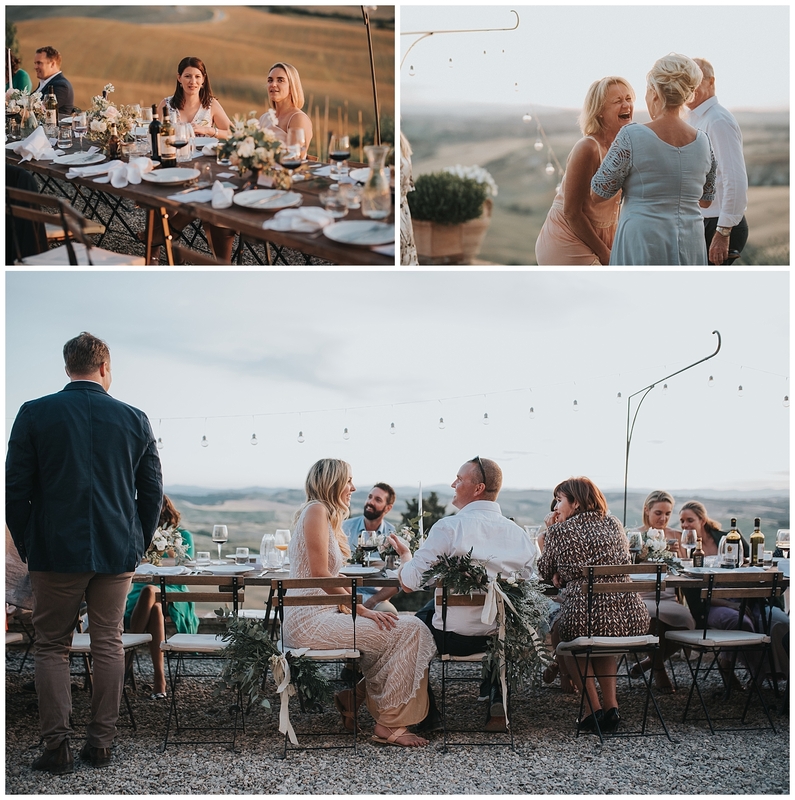 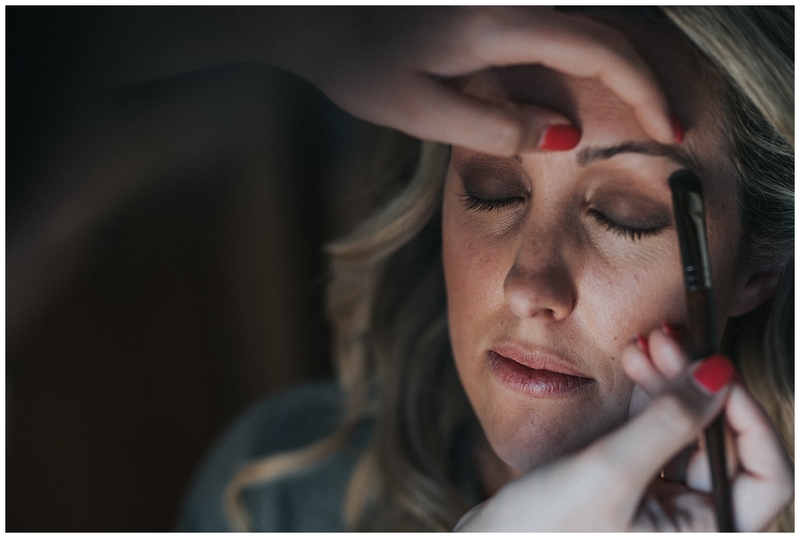 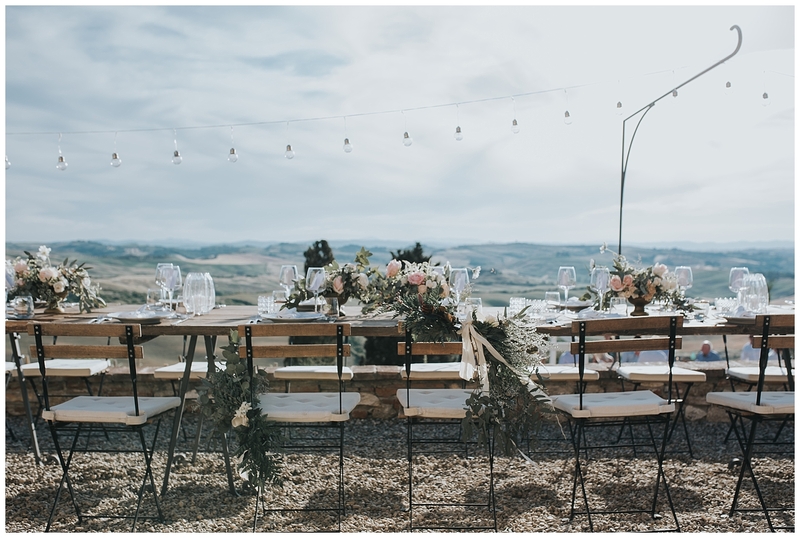 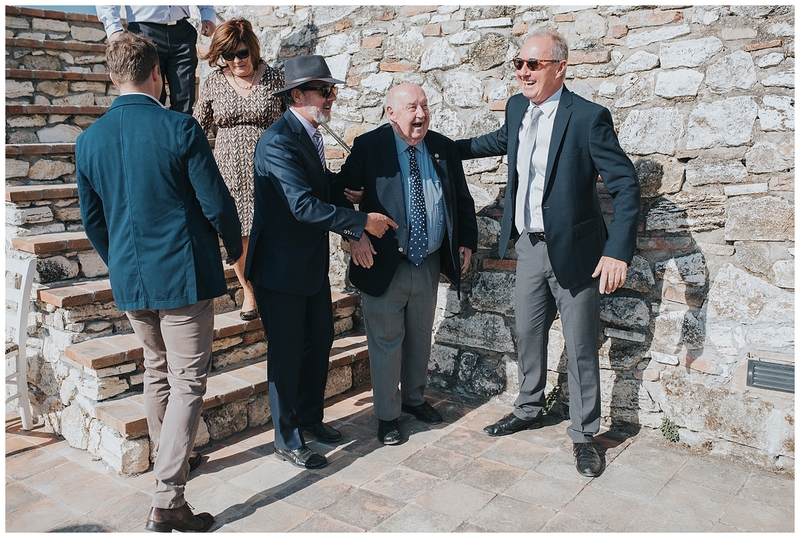 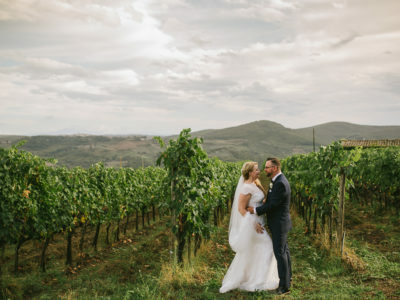 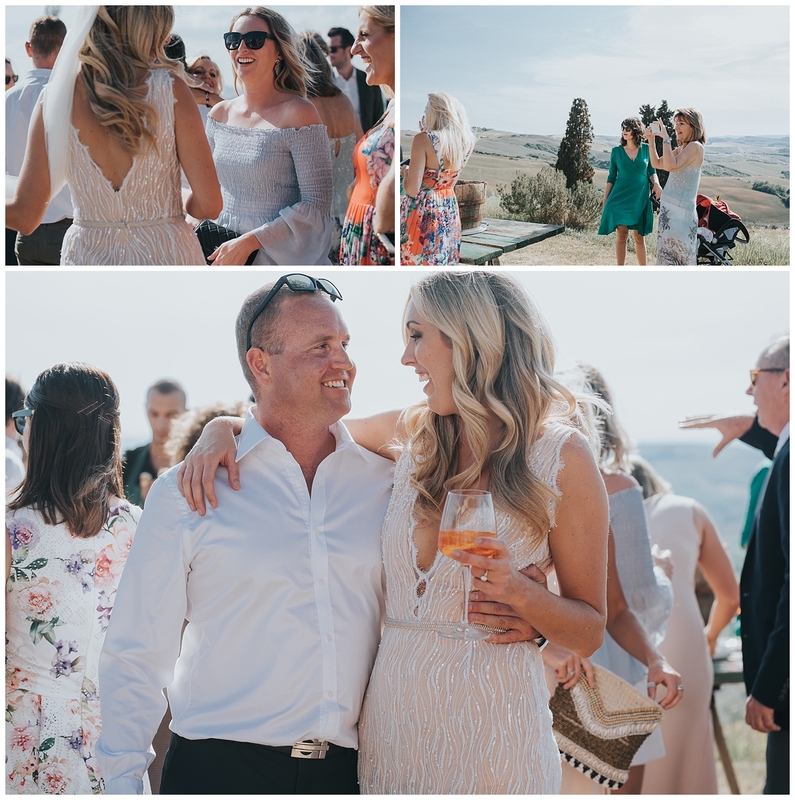 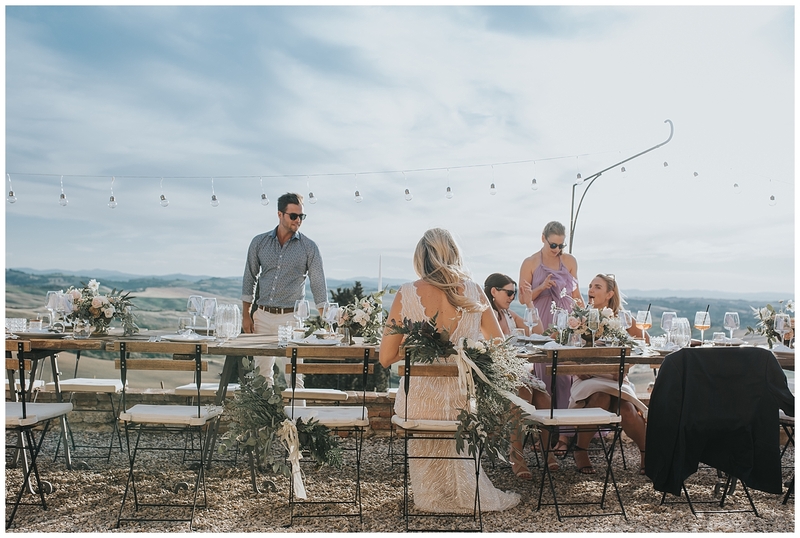 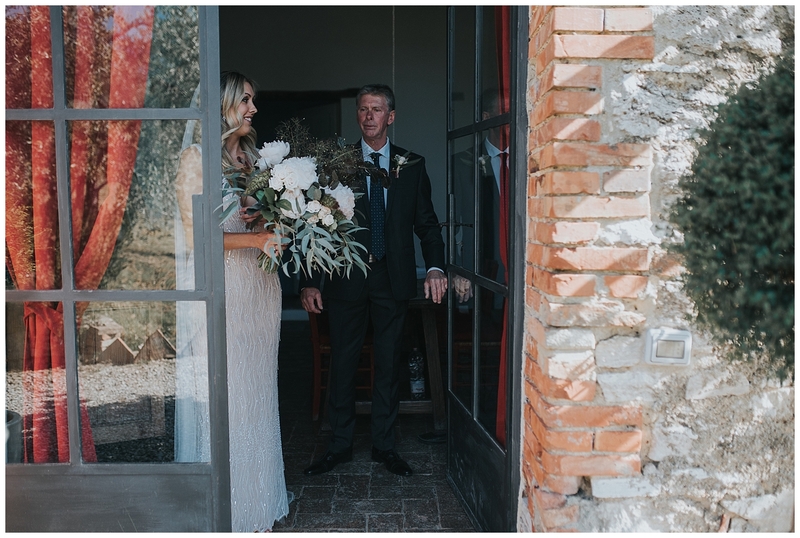 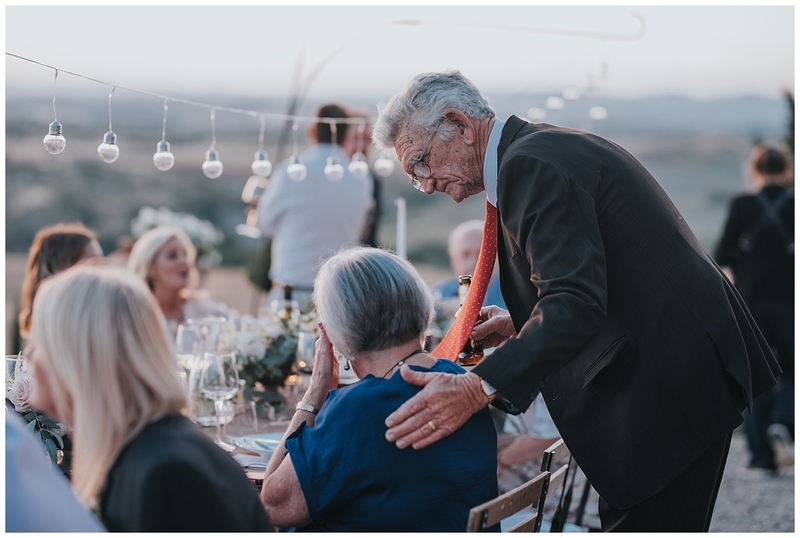 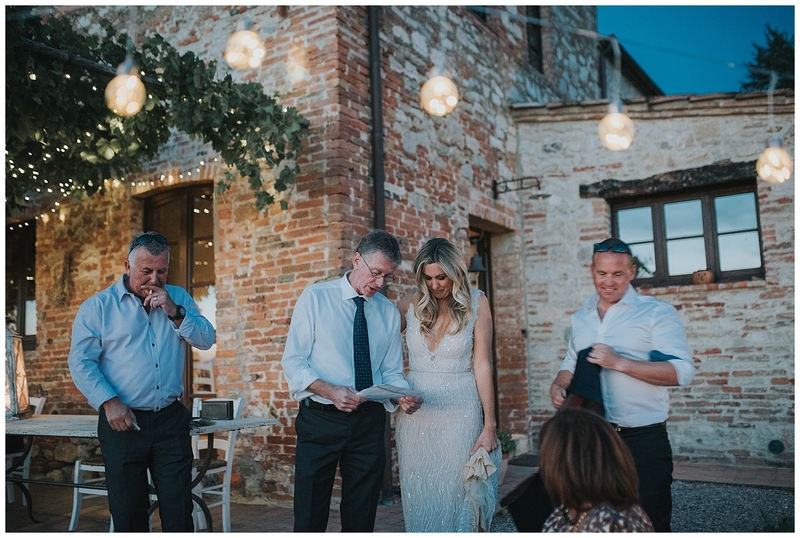 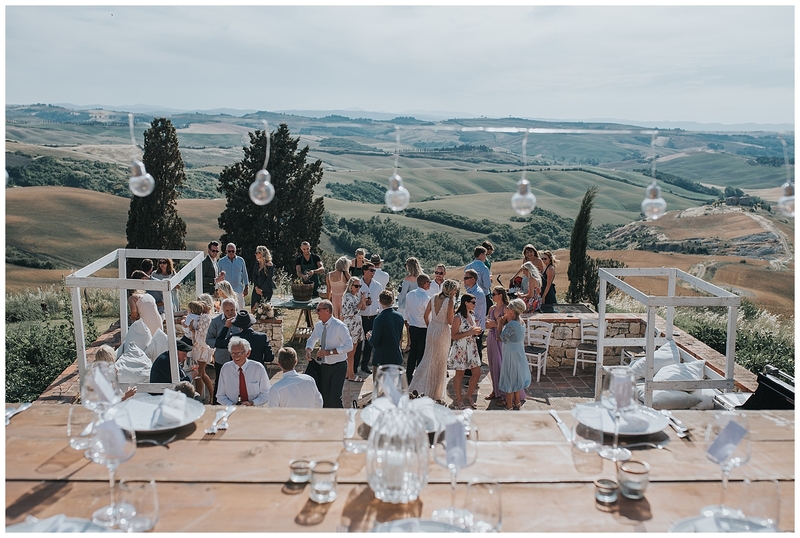 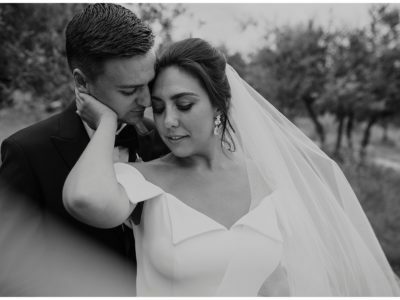 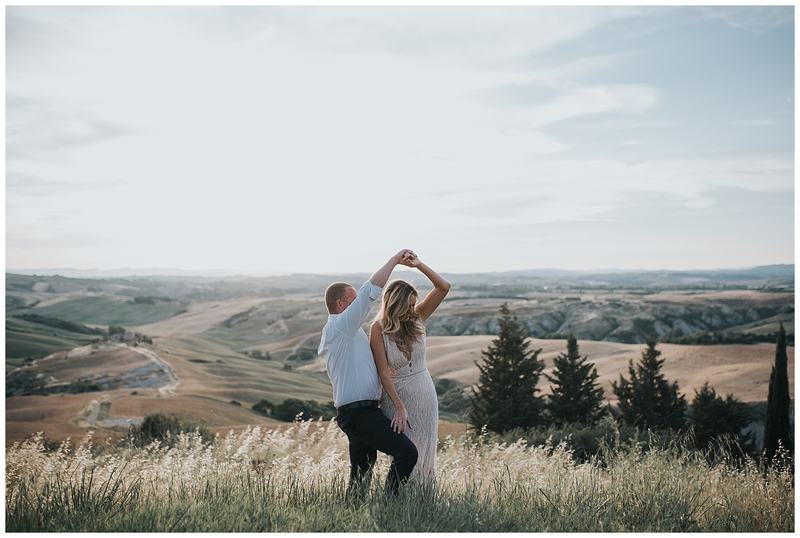 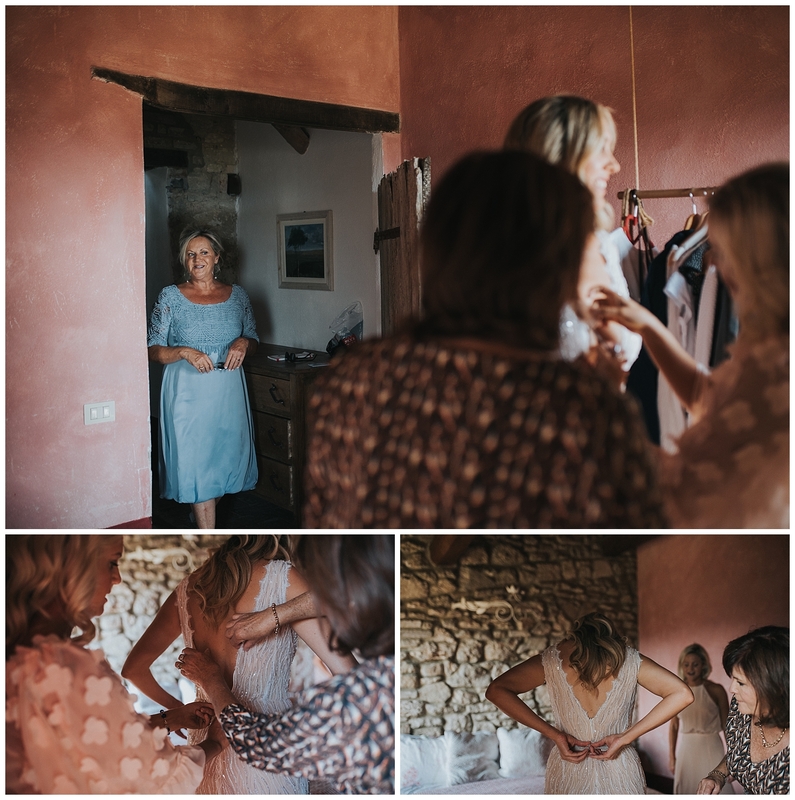 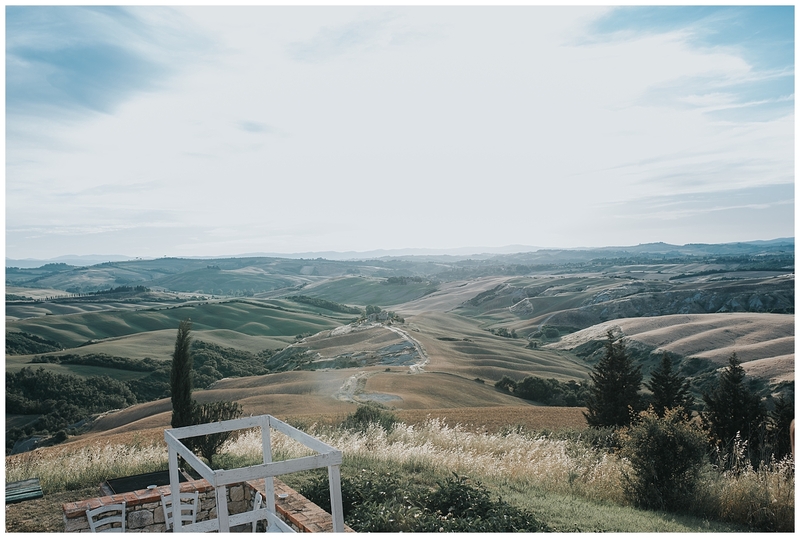 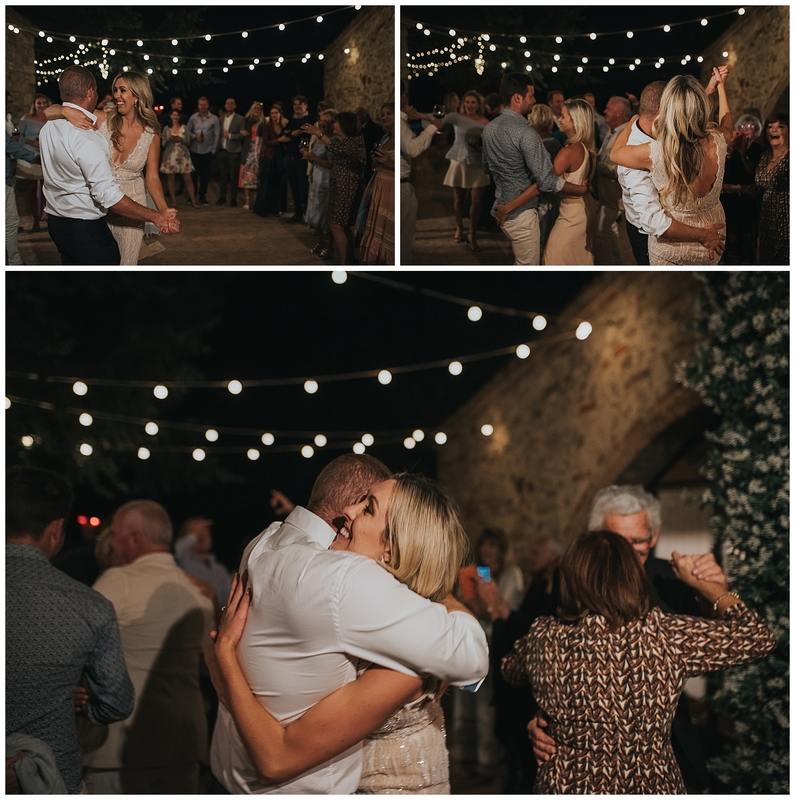 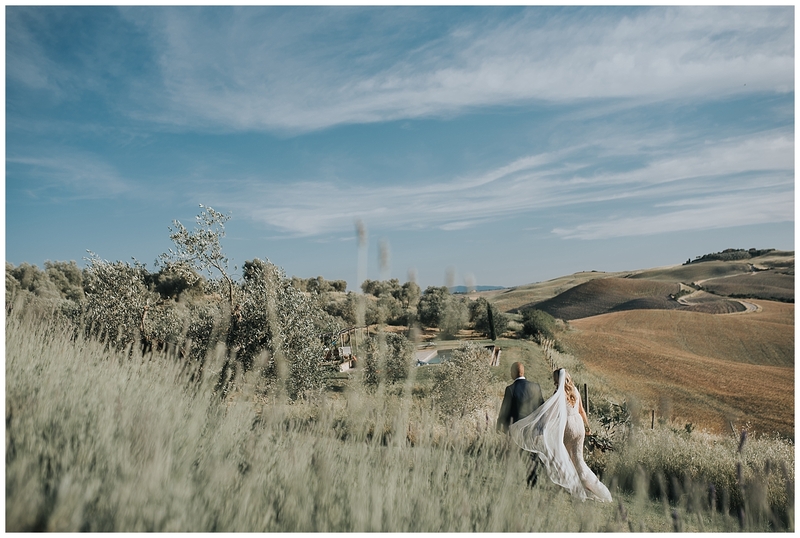 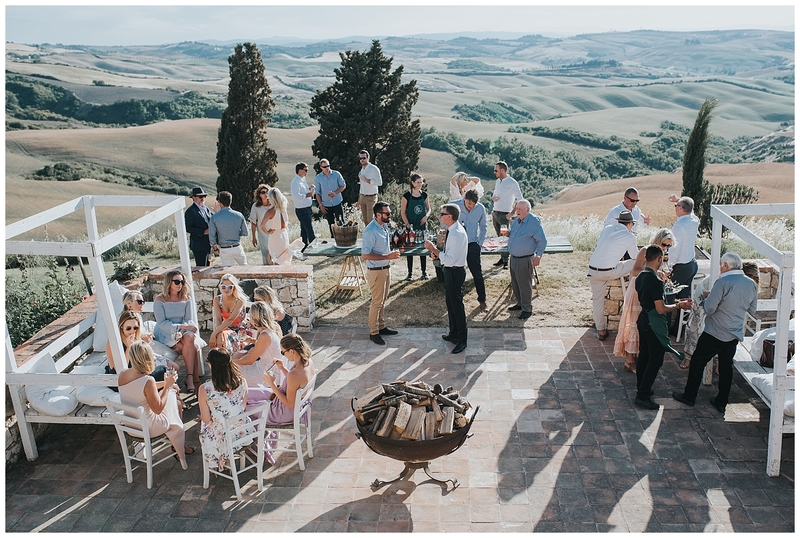 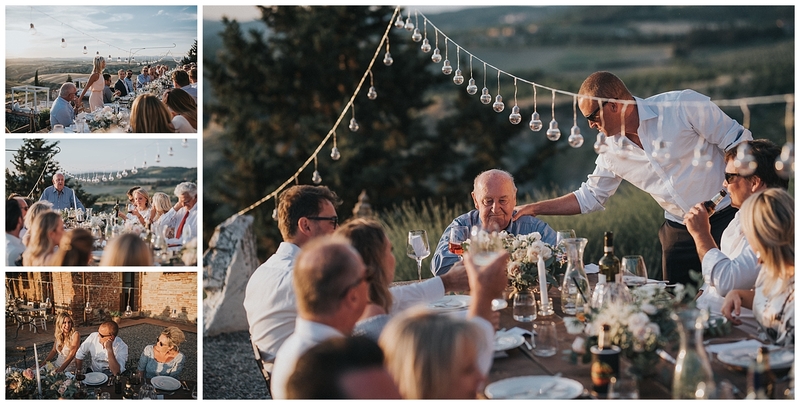 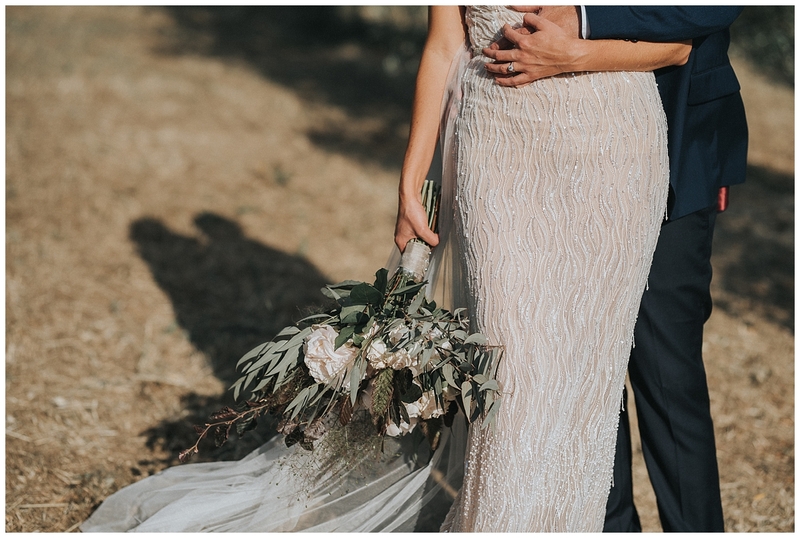 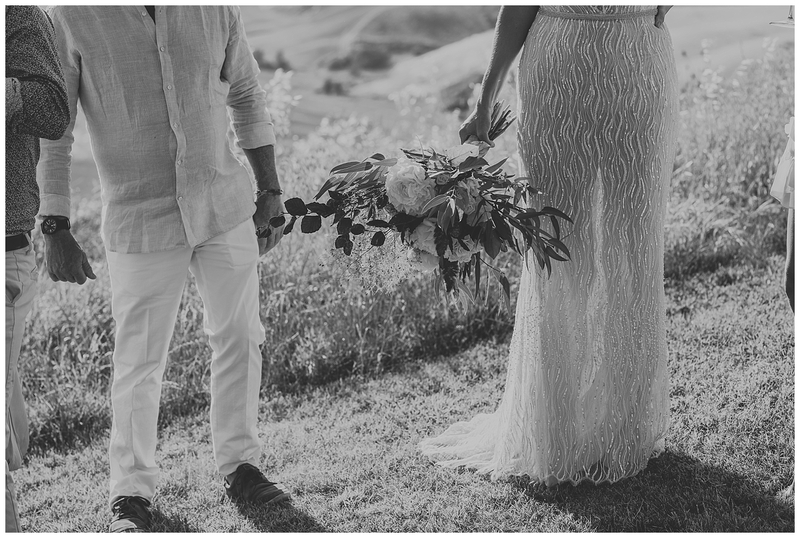 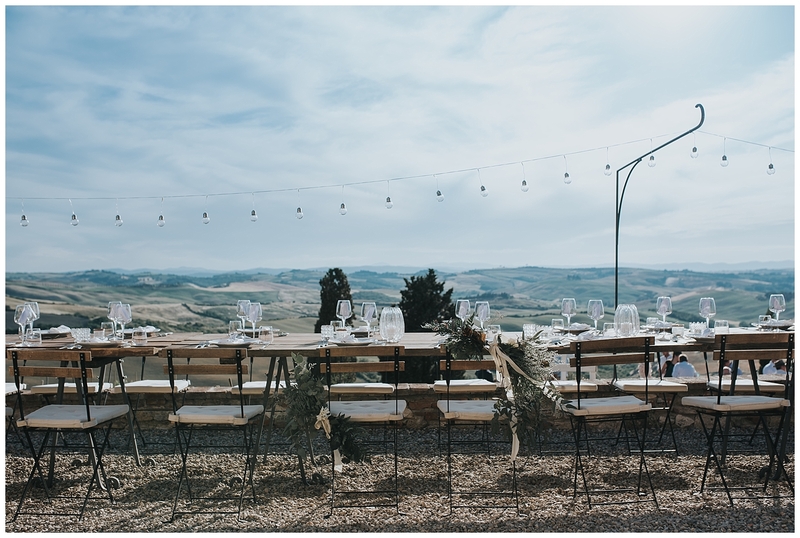 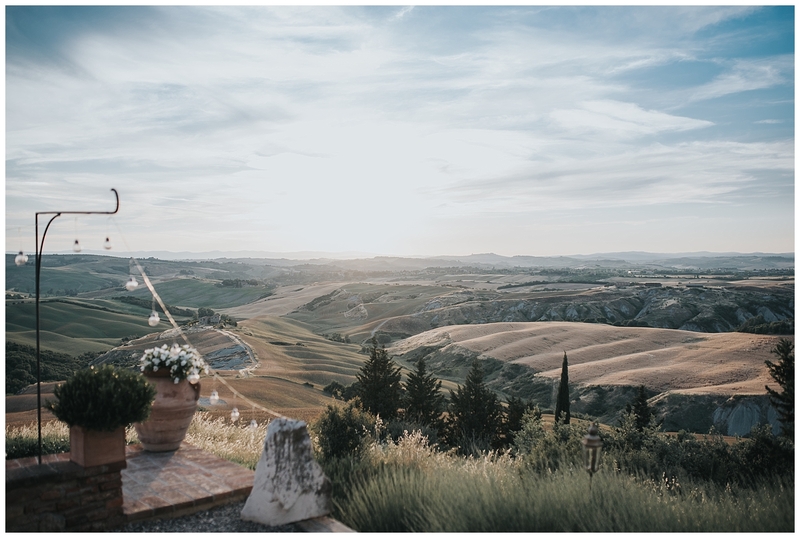 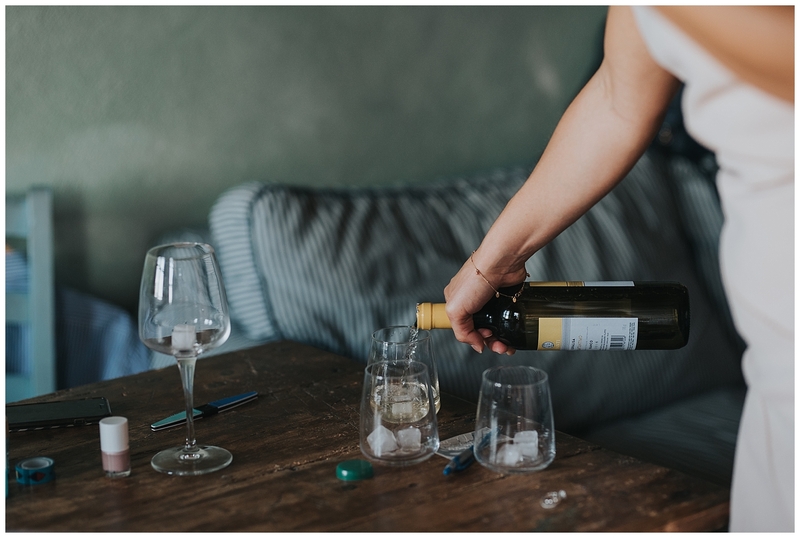 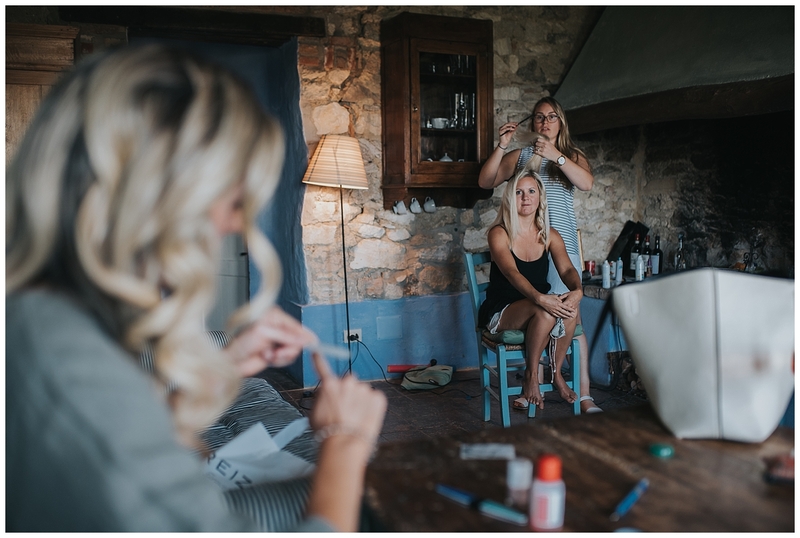 Sarah wrote to me last July telling me that she would marry Lazy Olive – Podere Finerri and who was looking for the photographer to tell her wedding: this email changed my day. 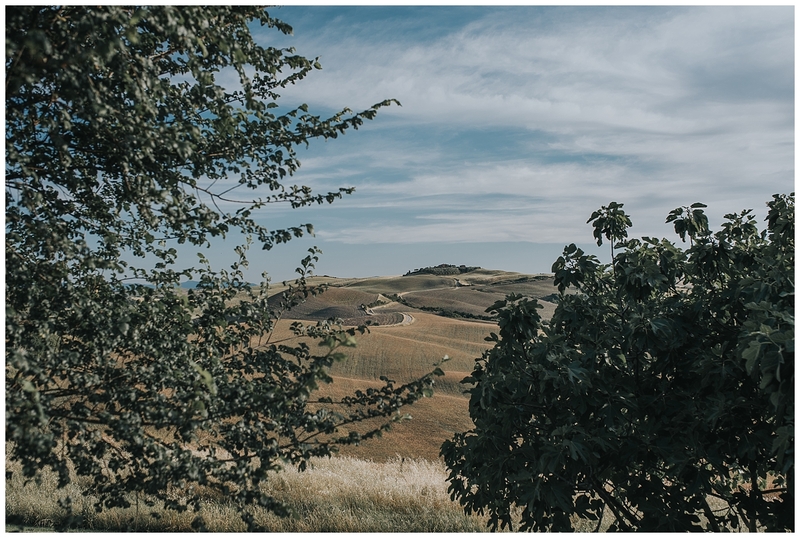 Lazy Olive is one of the most amazing places I’ve been to: in the province of Asciano, but totally lost in the countryside. 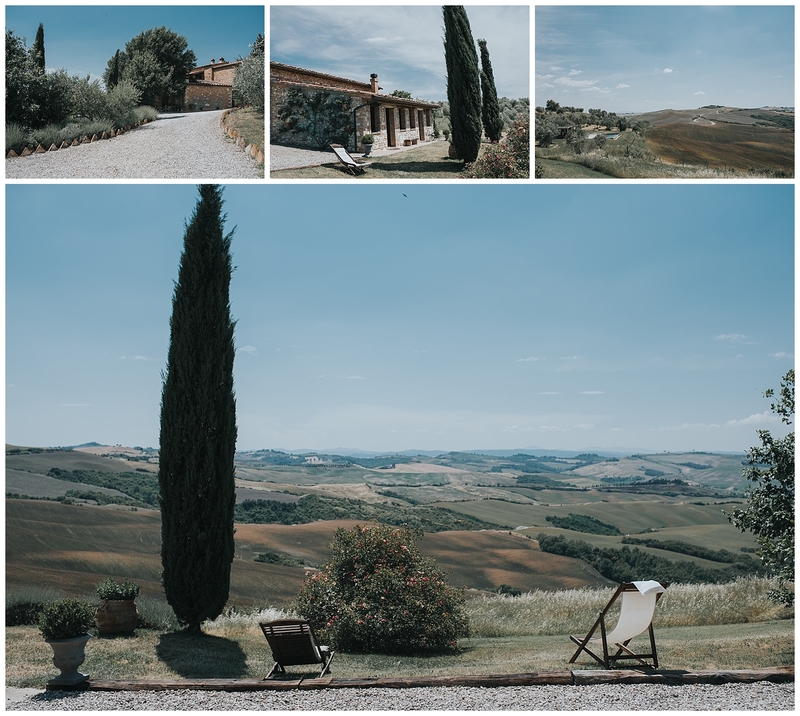 It has a wonderful swimming pool overlooking the Tuscan hills landscape. 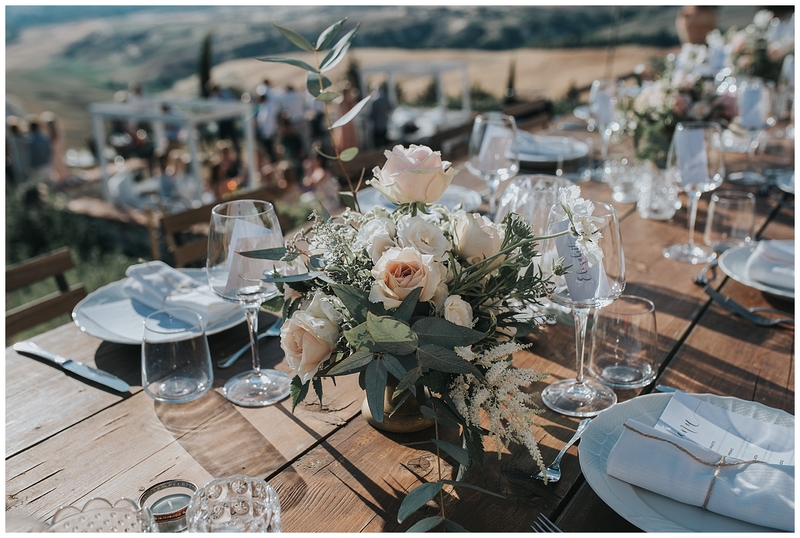 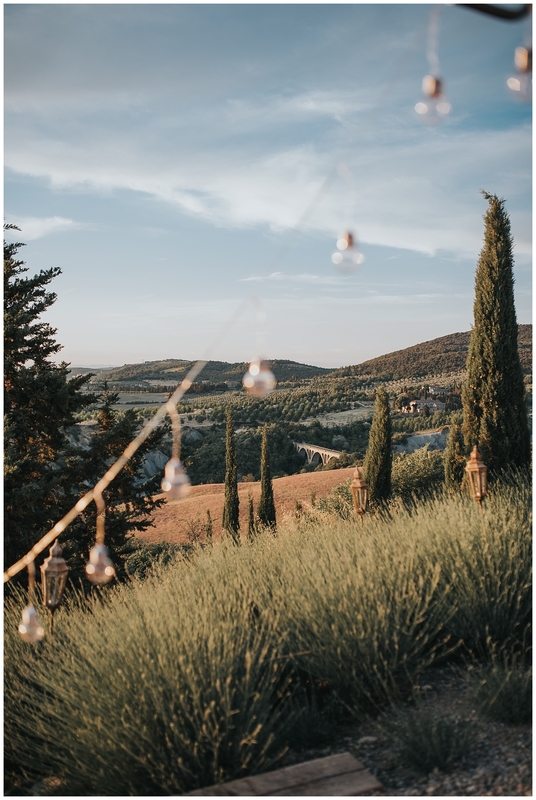 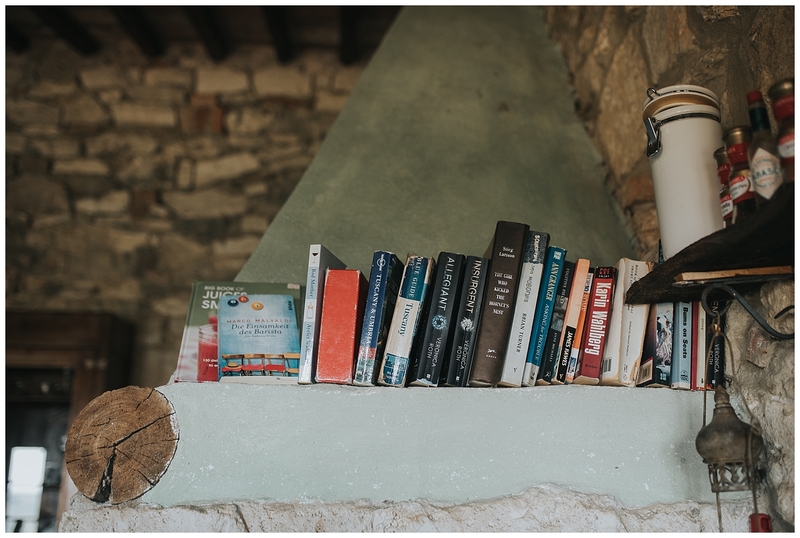 If you are looking for a place completely immersed in the Tuscan countryside, full of green and silence with incredible views, then Lazy Olive is the right place for you. 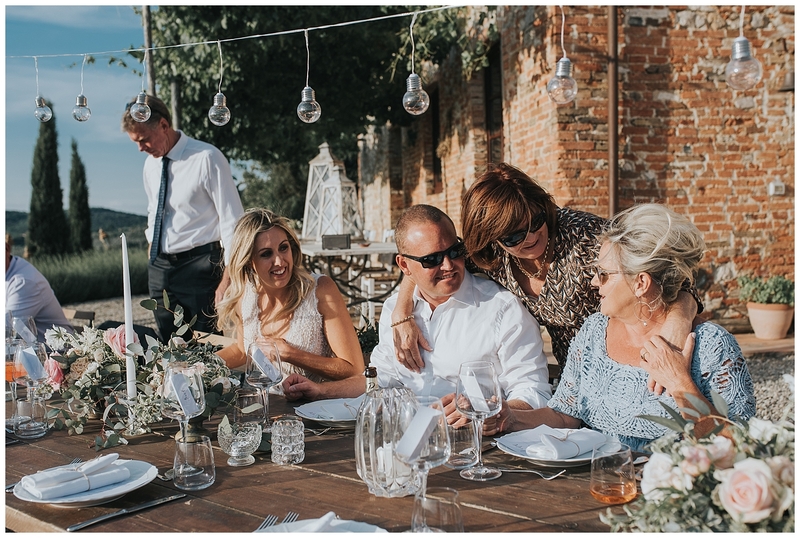 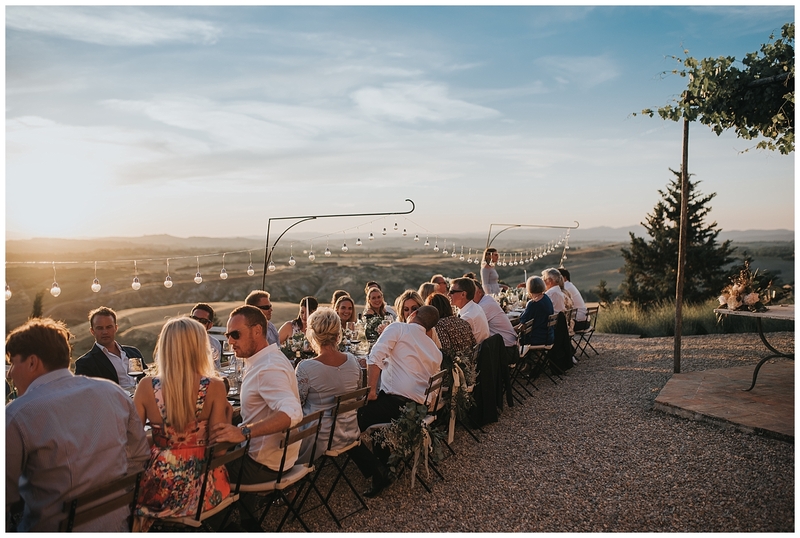 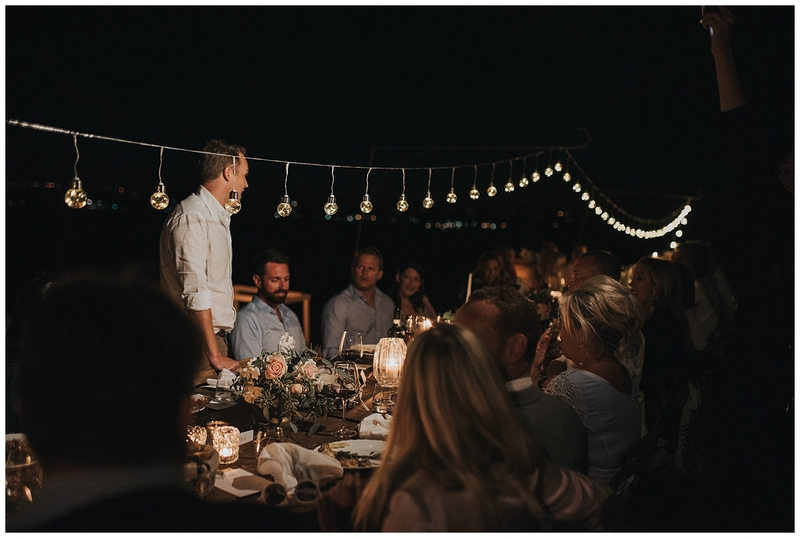 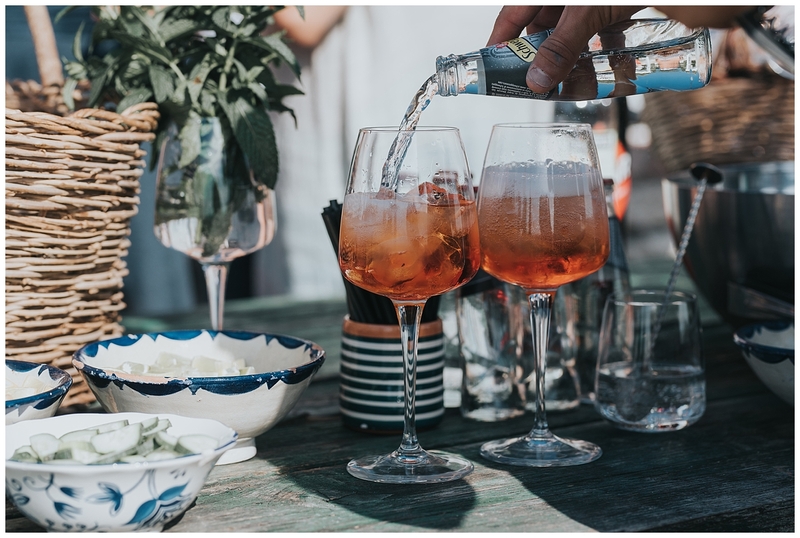 At the end of the ceremony, the guests moved to the wonderful terrace for a refreshing aperitif, waiting for dinner in a long imperial table, under a thin line of lights and elegant candles among the guests. 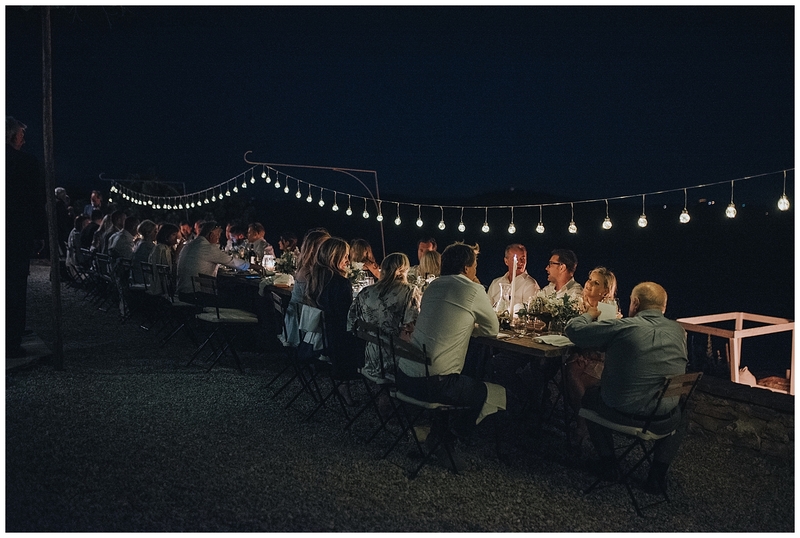 During the dinner, speeches were held, while behind them the sun was setting to darkness. 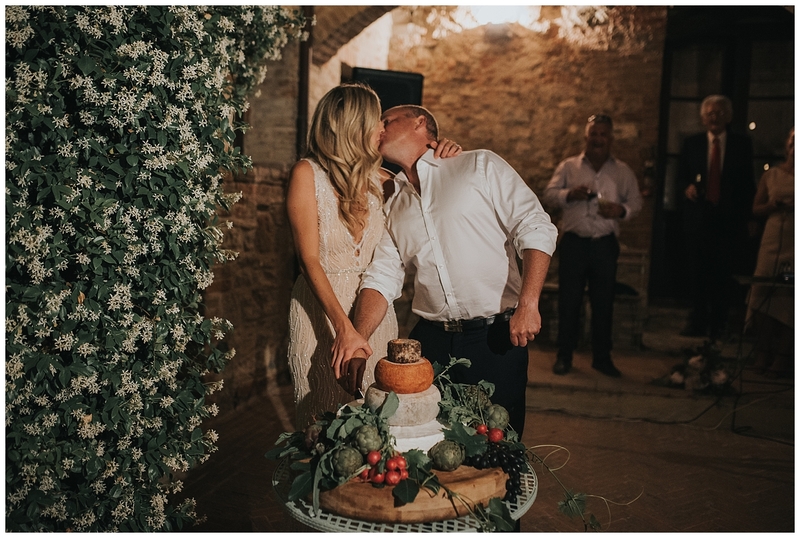 The final part of the evening ended in the cloister where Sara and Joshua cut the cheesecake (something really special!) 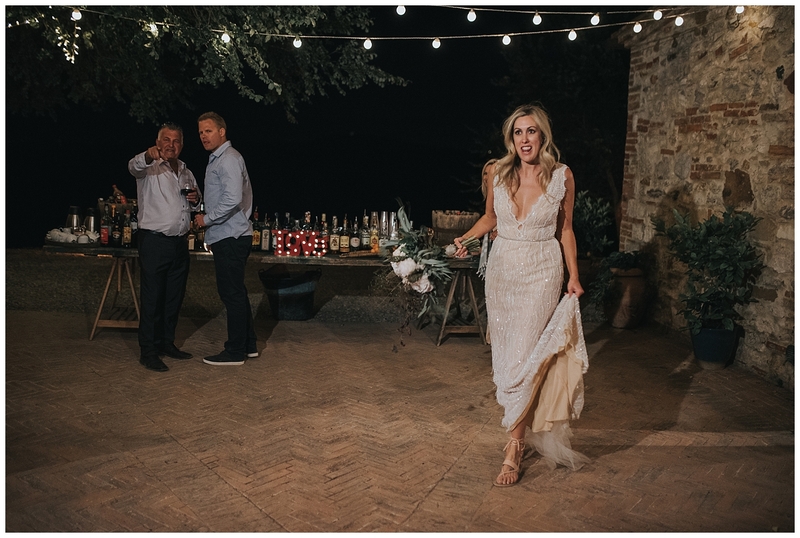 And a long table for the open bar had been set up. 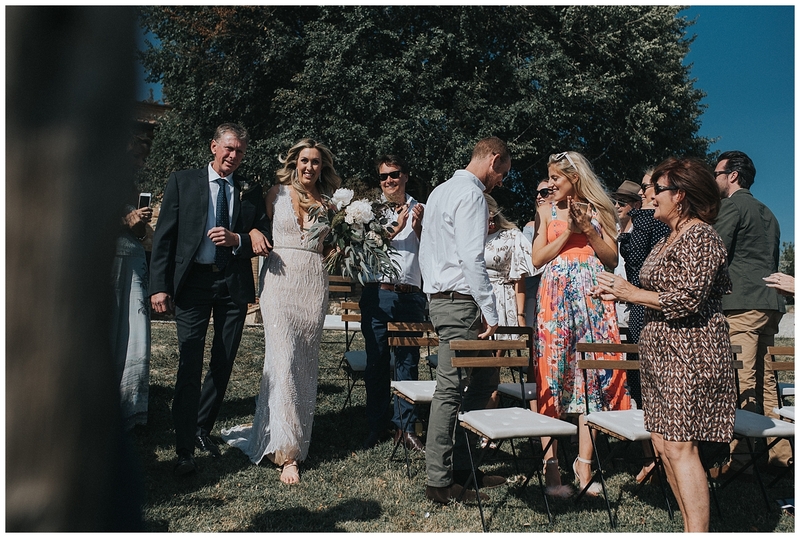 Among all the guests present, I was very impressed by her 83-year-old grandfather who left Australia for not marrying her grandson.